An Ice Age is dawning on Mica’s homeland. 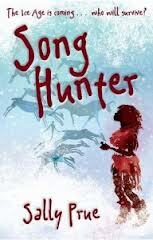 The climate is getting colder, there are fewer mammoths to hunt, and the future of her people looks uncertain . . .
Mica’s mind is bursting with new ideas to help them survive the long winter, but the others refuse to listen, determined to cling to the old ways no matter what. Shunned and frustrated, Mica feels as if no one will ever understand her. Not even Bear, her childhood friend. One night, Mica wakes to hear mysterious voices calling. Their cries fill her with a deep longing that she can’t explain. But who do they belong to? And then she makes a discovery so incredible, so extraordinary, it will challenge everything she thought she knew about her world . . . Categories: Social/Family, Thriller | Tags: Sally Prue | Permalink. Will works at the big house, and nothing there ever changes very much. But then one day George announces that he’s going away to be a soldier in the war that’s springing up around them. Will is jealous, but knows he is too young-and too simple-to join him. The glory of war is not for the likes of him. Then soldiers come and take the rest of the men from the house to join the fighting, too. Will is left behind, with the womenfolk, those too old to fight-and the frail, insane Master, of course. Now everything is different, and Will and his friends start to realize that although they have not gone to join the war, they may not be able to stop the war coming to join them. It’s time to head for safety-but in a country ravaged by war, where will really be safe? Who will look after them all now the menfolk have all gone away? And how do they know who they can really trust? 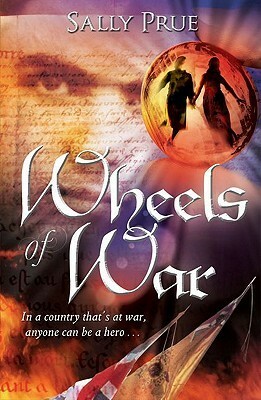 Wheels of War is on our UKYA Top 100 list. Categories: Historical, Social/Family, Thriller | Tags: Sally Prue | Permalink.